"This hotel was good value for money in a great location." Have a question for Sydney Central Inn? "Walking distance to central station , very near to china town and Thai town"
"Staff was also very helpful n friendly in helping me carry up my suitcase to the 2nd floor!!" "It's cheap and cheerful, well located." 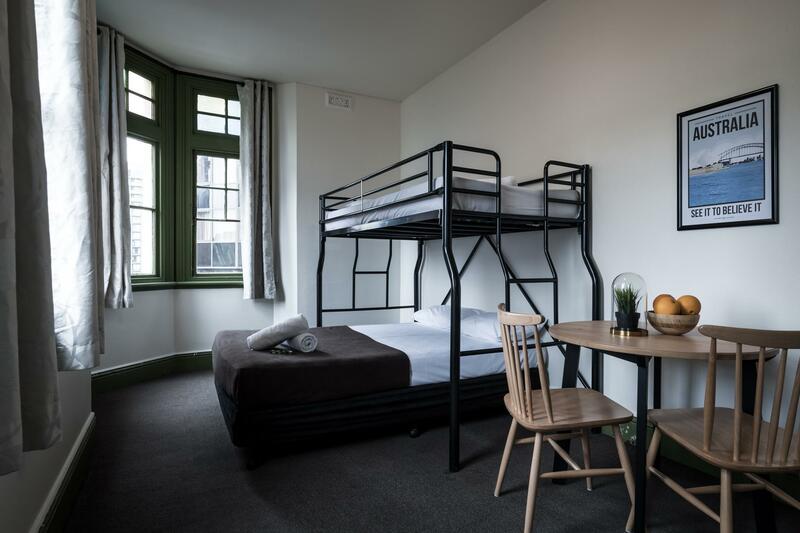 "Place is close to central station and basically all tourist..."
When visiting Sydney, you'll feel right at home at Sydney Central Inn, which offers quality accommodation and great service. The city center is merely 1.7 km away and the airport can be reached within 15 minutes. With its convenient location, the hotel offers easy access to the city's must-see destinations. At Sydney Central Inn, the excellent service and superior facilities make for an unforgettable stay. To name a few of the hotel's facilities, there are luggage storage, Wi-Fi in public areas, restaurant, tours, laundry service. In addition, all guestrooms feature a variety of comforts. Many rooms even provide closet, internet access – wireless, internet access – wireless (complimentary), non smoking rooms, desk to please the most discerning guest. The hotel offers an excellent variety of recreational facilities, including golf course (within 3 km). Discover an engaging blend of professional service and a wide array of features at Sydney Central Inn. Great location - is close to everything like train stations, shops and restaurant. There are no elevators so if your are located in the 3rd floor and with heavy luggage - the staff will still help you if the guys are on shift but if it is the girl, good luck carrying all your luggage's downstairs. Not sure about other rooms, but our doesn't have a/c - though it's okay since its winter when we went but you should check with them if you're going in the summer. Place is close to central station and basically all tourist places in sydney cbd like paddys market, chinatown, st marys cathedral, etc. No alcohol, no noise, no party policy in the hostel so it's quiet and not rowdy like other places. Kitchenware is complete and bathroom is always clean! 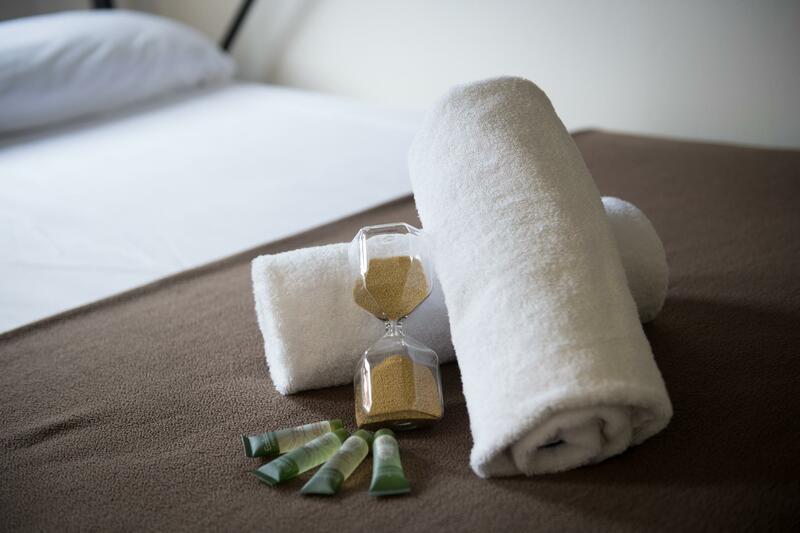 Towels and toiletries are even provided in the room. Super value for the money. This hotel was good value for money in a great location. However, it wasnt clear that the bathroom and toilets were shared. If this had been clear I may not have chosen to stay at this location. Nevertheless, the room was good and the (shared) bathrooms were new and clean, although I had to wait quite a while in the morning to get access. My only other comment is that the hotel had no lift and a steep staircase. This would have been a problem for anyone with a disability or with large luggage. A bit more transparency in the advertisiement would be good. The staff is friendly and helpful. The location is very good, within walking distance of many of the tourist attractions (including the Opera, if you are a bit of a walker). Museum Station is a short walk away anyhow. Huge selection of restaurants nearby, especially Asian. Shopping and groceries right around the corner. I immediately noticed that the crowd in this hotel are quiet, unlike the rowdy people I encountered in another hostel. Room was clean, staff was friendly. Toilet was spotless. Also walking distance to Central Station and Museum station. Very near Paddy's market, restaurants and Coles. Only negative for me is the number of toilets. There were only 2 cubicles on my floor. There was also no heater or air conditioner in the room. Not sure how it goes had I visited during the summer. Other than that, it was a pleasant stay. I would book again if I'm back in Sydney. The hotel is almost perfect for me. Clean, complete with facilities I need and situated in the heart of Sydney. I was able to save a lot of transportation cost because all attractions are walking distance from the hotel. Because of that savings, I was able to buy a bag and shoes. The facilities you need in cooking your own food to save, they have in their pantry. The toilet is always clean, the room is very clean with a view of Central station and Capitol Theater. I’m very grateful that I chose Sydney Central Inn. And before I forget, the staff are very friendly, always smiling and willing to assist you anytime. My only suggestion is that, wifi must be available until 3rd floor, because we need to sit or stay in the stairs just to connect with wifi. My rating for now is 99% but it will become 100% if the wifi already reaches the rooms in 3rd floor. Thank you once again and keep up the good work! girl from Peru who checked me in was a delight and efficient as I found all the staff. old hotel that has been brought back to life in a beautiful way. it is right next to Central hard to fault enjoyed my one night! if you don't object to shared showers etc. and 3 flights of stairs then the price at $66 for one night is great for Sydney especially if you are flying out the next day. Top it off with a drink downstairs in the bar what more can you ask for! oh and right in Thai Town for great food! Excellent location, decent spacious room (just like in the pictures), better than the Ibis World Square's rooms. There were 2 women's bathrooms that strangely were always available with one shower in each of them, always very clean. There was a smell in the room though, not strong but a smell. I kept the window open all day. Maybe the carpet in room 101 should be changed. The common room with wifi was quite small so I didn't use it. Satisfied overall. central station, coles supermarket and paddy's market is within walking distance. the room and toilet are super clean with is a bonus point. i just wish they have an elevator. it's a bit noisy at night but we don't realy mind the noise. i might consider staying here again if i come to sydney. i love that the room and bathroom is very clean and well maintained. Every facilities provided works well. the only thing that put me off is that there's no elevator. we had to drag our luggage all the way down from the 4th floor. i find it a bit dangerous because if the luggage accidentally fall from the stairs during transportation, someone might get hurt. but overall it was a great stay. central station is just minutes away and coles supermarket is bout 5 minutes walking. the best part is it closes at 12am. Paddy's market is also within walking distance. it's a bit noisy at night but i dont really mind that much. Comfortable and clean. Perfect location, central Haymarket. Would definitily recommend this hotel for people looking for a hostel type of stay in Sydney CBD. 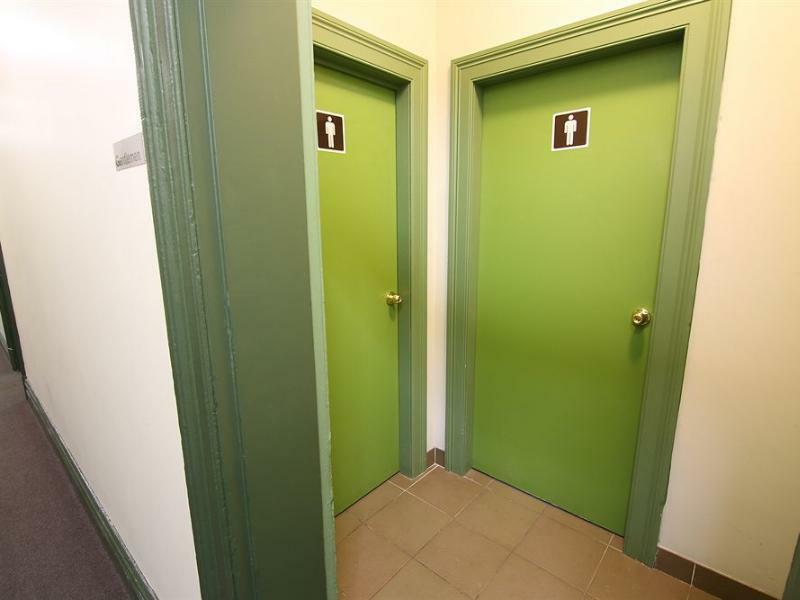 The building is older and a bit run down, but bathrooms have been renovated and are kept clean. Sheets are clean, beds are comfy, and there was even a tv in our room! The staff were very helpful. Wifi only works on the first floor common room. Good value for a budget traveler, we enjoyed our stay here and would stay again. We spent 3 nights staying here in a triple bed room and it was just fine. There are shared bath room on every floor just like other normal hostel. The facilities is ok and quite clean. However, the shower is fixed and you cant detach it from the wall so it is tricky to use sometimes. Having said that, the kitchen is nice and clean with well-provided utensils. What I can share is the best location this place has. Less than 5 minutes walking distance from Central Station where you can go to any places. Especially for my Itineraries back then, I need to take an early train and evening bus from Central Station, so this place helped me to cut my budget for transportation. Inside the room, there is also a small fridge for us to put some foods and reheat it in the kitchen. unfortunately, wifi couldnt be accessed inside the room since our room is at 3rd floor without elevator. Good location, very friendly and helpful staff to help us move our super heavy luggage to upstairs. Clean room and clean toilets. 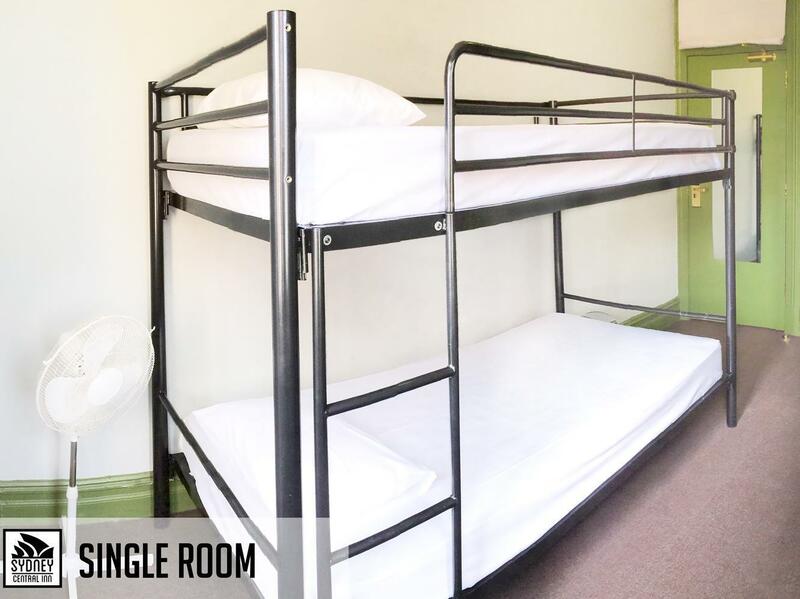 Triple room is not very big, just enough for 3 people, but very comfortable with a wardrobe, fridge, TV and a table. The only cons would be no stove in the common kitchen.